Don't get them confused with funeral directors as they do not act as what a funeral director would do, but rather serve in an advisory role. A memorial society may also work with funeral homes. Memorial societies provide information to the family when a death occurs. They may provide information such as legal matters and death benefits. The funeral homes that work in conjunction with a memorial society may offer discounted or moderate pricing to the families that find them through the society. So that is one benefit you may want to consider. You can search for memorial societies within your specific state or area. Contacting the Continental Association of Funeral and Memorial Societies can help you in locating a non-profit memorial society in your area. You do need to be a member of a society but the cost to become a member is very minimal. As a member you are able to convey your death wishes to them as well as to your immediate family members. There are many different memorial societies and each can vary as far as how they operate and make specific arrangements. The majority of them are generally non-profit however, some may not be. You can verify if a memorial society is a non-profit or not by checking to see if they are a member of the Continental Association of Funeral and Memorial Societies. The societies in this organization are screened very carefully. The true societies do not have any commercial interest and the membership is inexpensive. You can write to the CAFMS at: 33 University Square, Suite 333, Madison WI 53715. Sorry but as of this article, we were not able to locate website for this organization. Most of the societies in the United States and Canada are members of the CAFMS (Continental Association of Funeral and Memorial Societies). 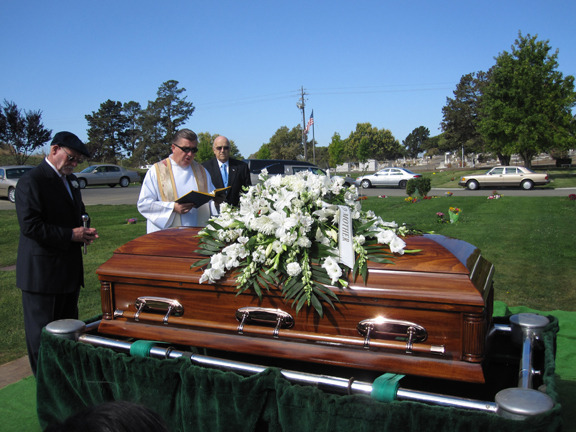 Advance funeral planning can be done with societies and does not involve any type of funeral costs. They work to ensure an individual's death plans are carried out as desired. They can be of great assistance to the bereaving family by providing the needed information and relieving additional stress.